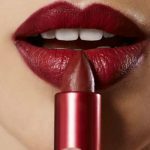 Looking out for a bridal makeup artist for your D-day? Here you go! 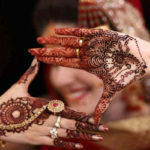 Wedding season is soon starting with the wedding bells of your adorable daughter and lovable sister ringing. 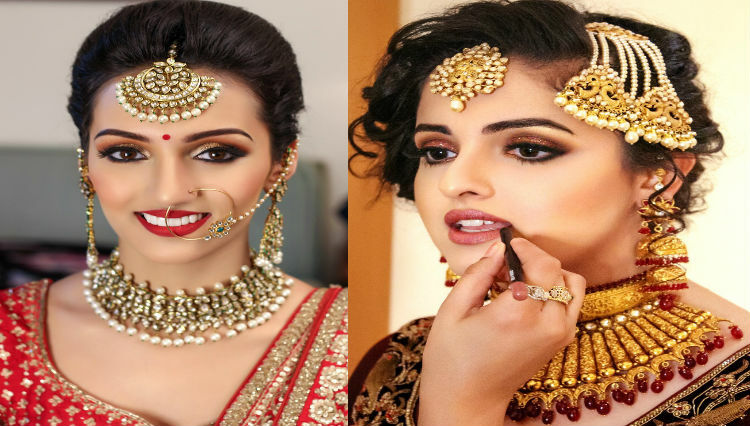 If the wedding is in Gurgaon then you should definitely book these amazing Bridal make-up artists who will transform the entire look of a bride into a pretty diva. 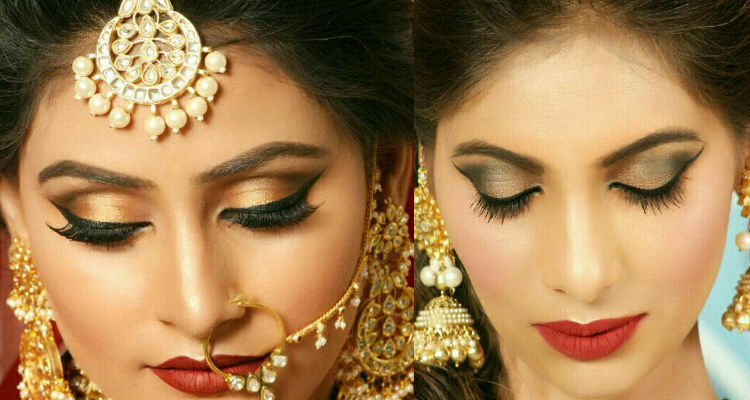 Here is the list of 12 Bridal Makeup Artists in Gurgaon that every bride should hire for her wedding. 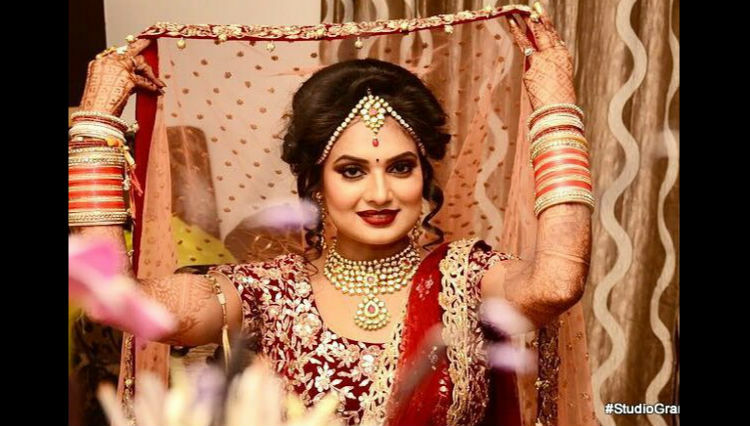 Parul always liked dressing up and putting makeup, something that her doctor parents would not exactly frown upon but would not endorse either. So even though her heart said otherwise, she decided to become a lawyer (and did very well professionally). But ultimately her passion took over and with enough encouragement from friends and family, Parul switched careers. That was eight years ago and she feels that she’s finally doing what she was destined for. 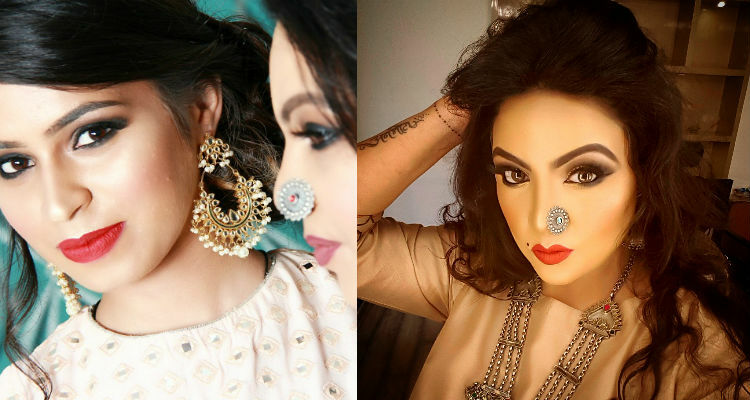 She’s a certified makeup artist and she has learnt makeup professionally from India and abroad. 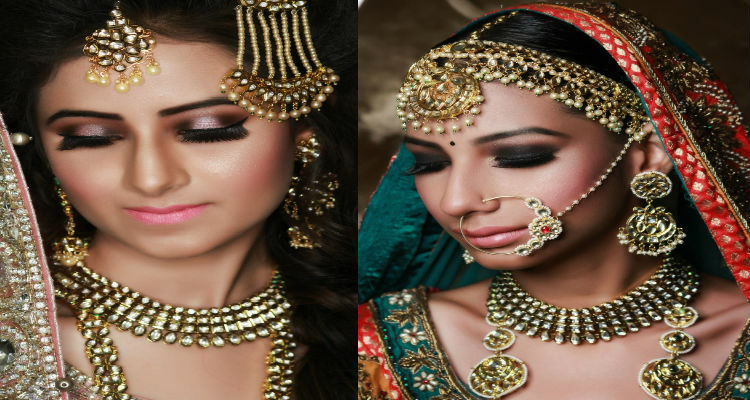 She’s also a certified Airbrush Makeup artist by TEMPTU – which is a leading airbrush company from US. 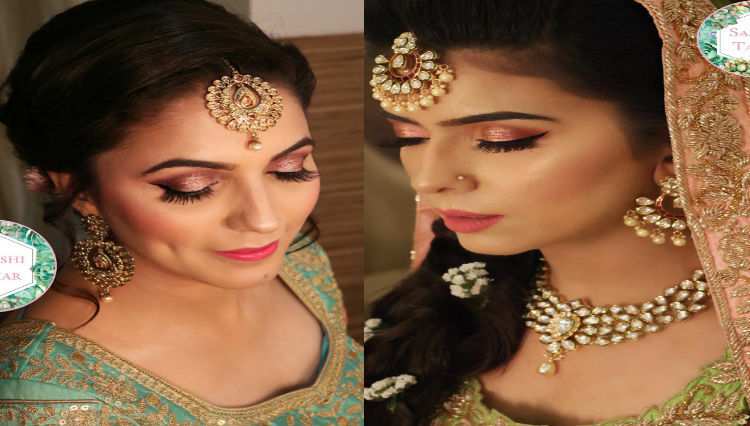 She prefers to do makeup at her studios in Gurgaon and Delhi and is very selective about makeup at the venue. 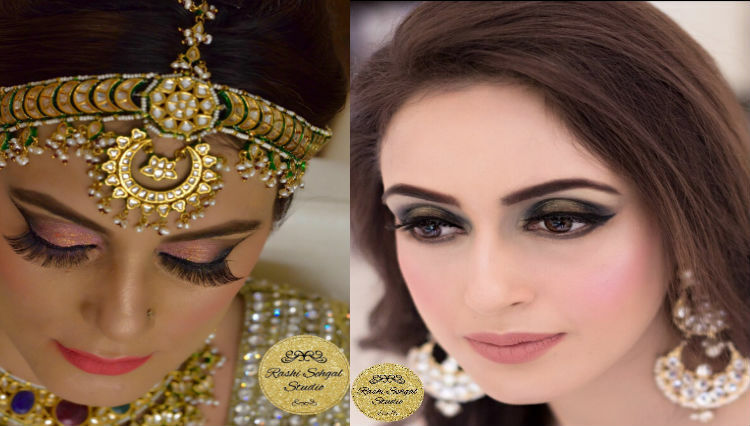 Her team also undertakes destination-wedding makeup. Supriti has been in the makeup field for last 6 years. 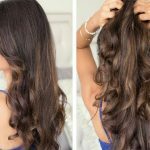 What started as a self-taught routine for her ended in a professional venture. She has done a couple of courses later including the Mastered course by Val Garland in London. 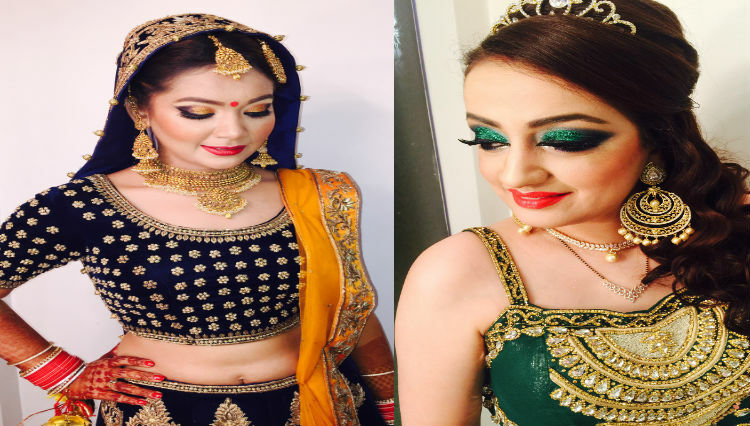 Supriti also teaches professional make up at her studio in Gurgaon. She does minimalist looks rather than going all-loud and blingy. She likes to keep the skin look as natural as she can. 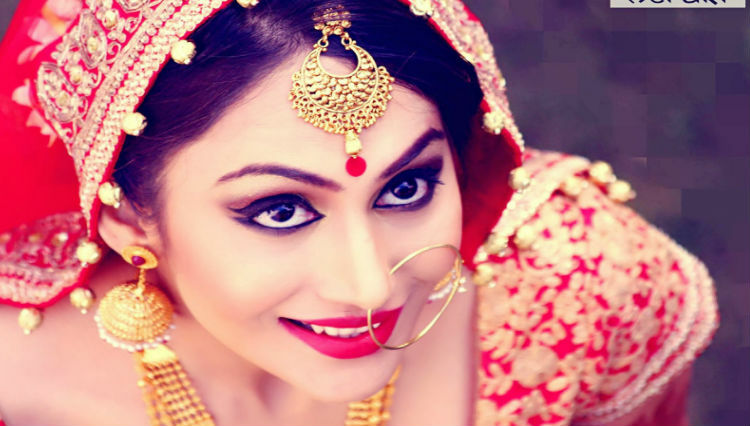 Pooja was always fascinated with makeup and pursued it on her own. The turning point for her was when a friend asked Pooja to do eye make up for her. This friend loved it so much that she encouraged Pooja to pursue her passion in makeup artistry at a commercial level. It’s now been three years for Pooja in this field and she loves what she does. 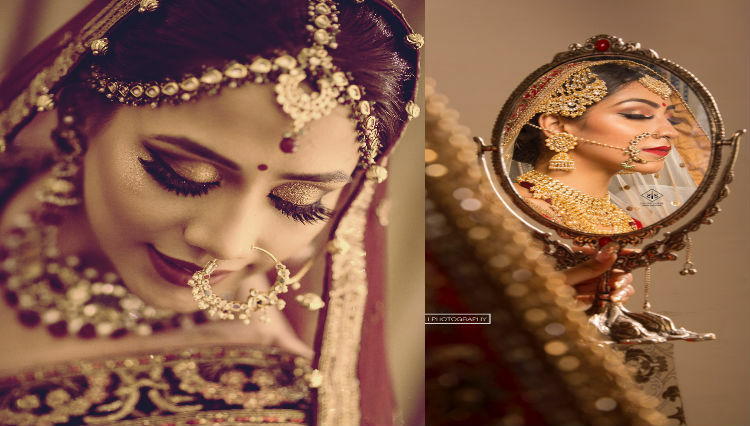 She offers bridal make up from her studio in Sushant Lok as well as at the venue as a freelancer. 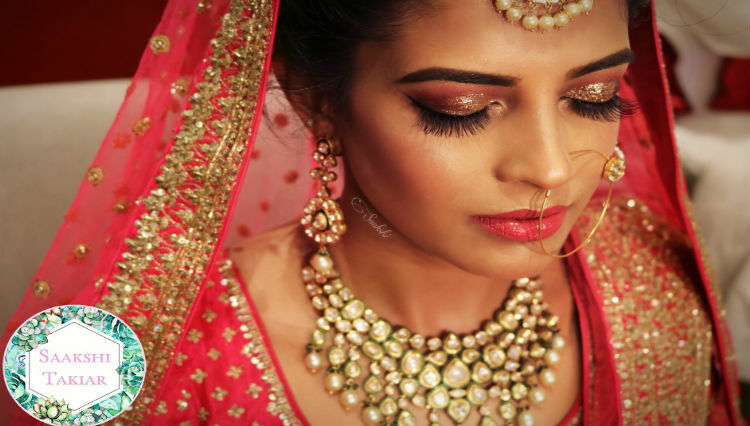 Makeup artistry is something that Shreya always wanted to do. She’s done her professional training from various colleges across the globe London School being one prominent one. She’s a keen learner and travelled all over the world to understand looks and techniques in makeup. 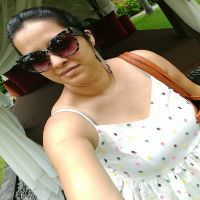 Shreya offers professional and personal courses at her studio in Gurgaon for those keen on learning. 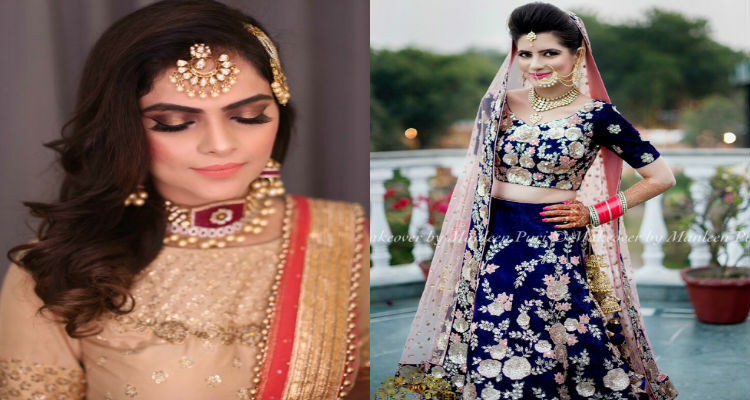 She tries to put in her 100% every time when it comes to creating a look for a bride. 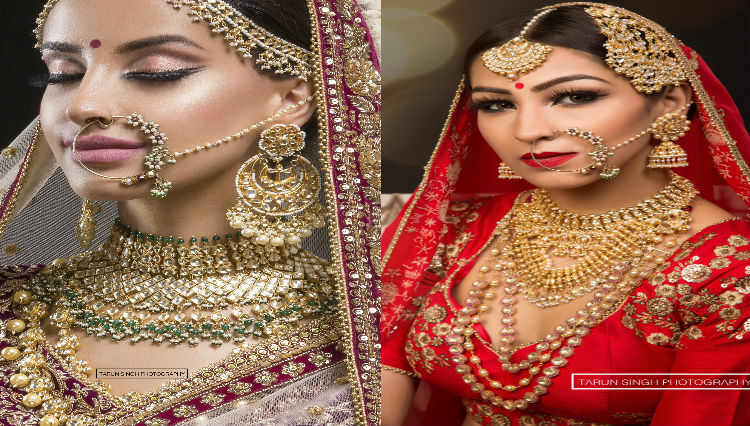 She feels more than trends its about the person you are creating the look for so she tries to create a ‘Custom look’ for every bride because every bride is unique. 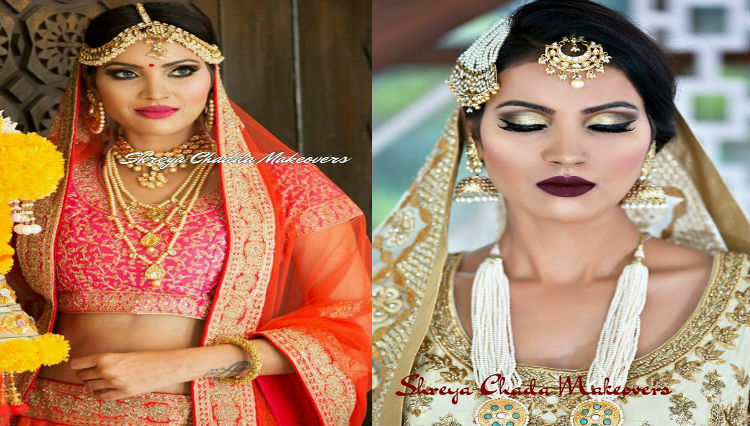 Saakshi is a self-taught makeup artist who’s gone commercial for the past two years. She always had a penchant for makeup but she didn’t want to give up a stable marketing job for a stint in makeup artistry. As luck would have it, an unfortunate leg injury forced her to bed rest for a long time. Meanwhile, she lost her job and finally mustered courage to just take the plunge. 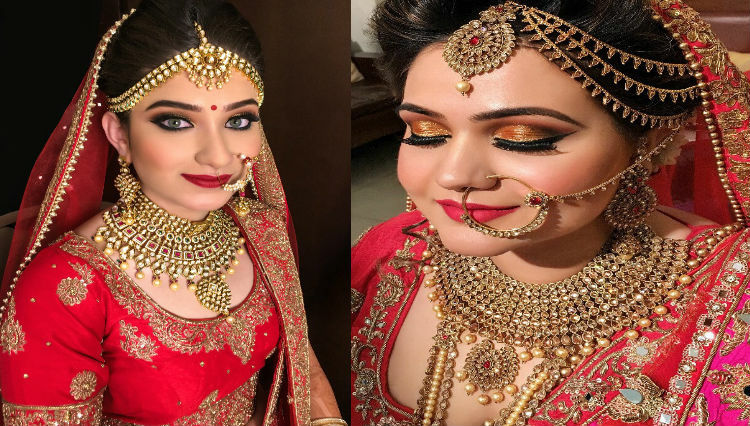 It was the sheer interest in makeup and grooming from her airhostess days that helps her transform simple next-door girls into gorgeous brides. Sakshi always had a penchant for makeup and that’s why she joined a course on Fashion, Media & makeup at the Pearl Academy of Fashion in 2009. She loved it there and got placed at Mac in India where she ended up working for a while. It added to her experience in makeup artistry and she went on to do an advanced course in London College of Fashion. Once she got back she started freelancing full time as a makeup artist. Recently she’s also opened a studio and Academy where she takes professional makeup workshops. Sakshi says she focusing on making the bride look herself by just enhancing the natural beauty. Her specialty is the ‘winged eye liner’ look. Pooja worked as an HR consultant for a long time. But post marriage she wanted to do something of her own. While thinking of options she realized that make up always fascinated her. So she got trained in Delhi professionally and went on to pursue an advanced level course in US. 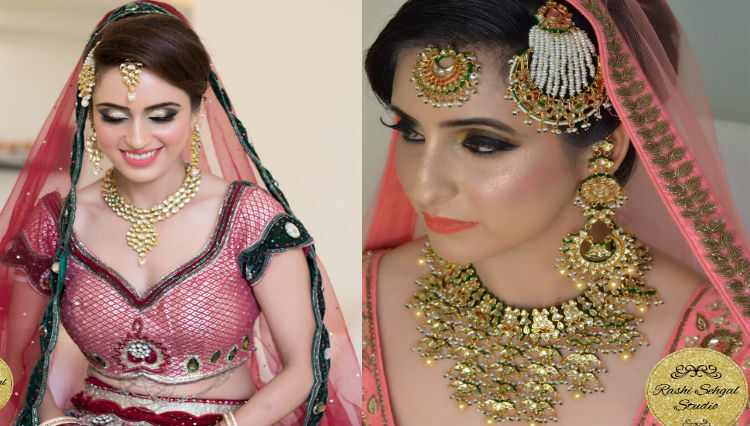 Freelancing for her began almost seven years ago but the bridal make up work was very seasonal, so she thought of opening salons rather, to provide constant beauty services to all clients. Currently, she’s also gearing up to open a beauty academy of her own. Despite all her accomplishments, Pooja believes in learning as much as she can from international artists who come visiting. She likes to keep herself up to date that way. 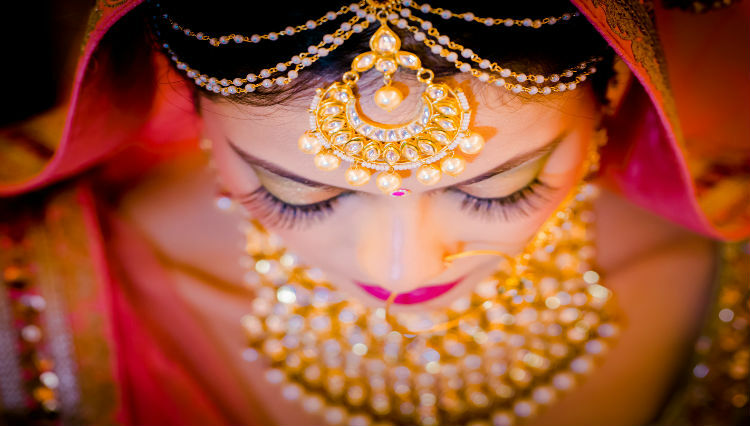 Pooja concentrates on natural skin tones of the brides rather than making them look plastered white. She says that coming from a country obsessed with fairness, it was in US that she learnt how make up is supposed to focus on enhancing the natural skin tone rather than on a lighter foundation or a plastered look. Her clients prefer her for this particular technique of hers. Saibee is seasoned makeup artist. 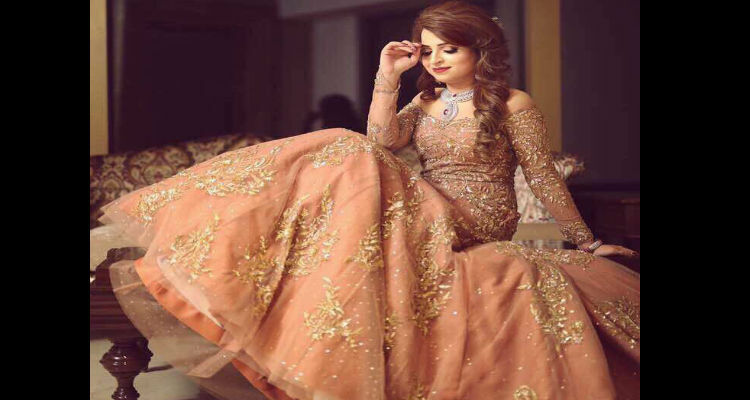 She had always wanted to pursue this line and she also happens to be the topper in the Fashion, Media & Makeup course at the Pearl Academy of Fashion. Given her level of interest and expertise, she started freelancing while still in college at the young age of 18. Its been almost nine years in this profession for her and she loves what she does. Her studio in Gurgaon is almost five years old now. 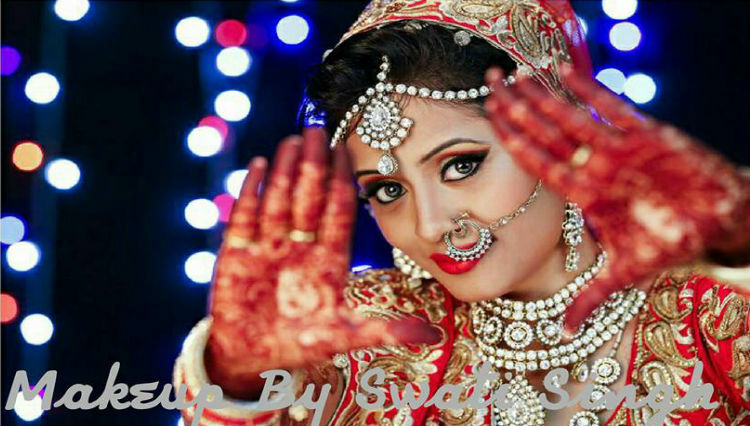 She specializes in ‘eye makeup’ for party as well as bridal looks. Manleen was a trained chef in London where she also pursued her degree in Hotel management. For personal reasons she had to move back to India and was entrusted with the responsibility of running a Business Hotel that had just opened up by a family friend. In a span of four years, she got the place up and running and went on to join a typical corporate job. It worked out really well for her there, but post motherhood she took a break and ended up starting a clothing boutique. One thing led to another and she ended up as a freelance makeup artist. She’s completely self-taught, watching makeup tutorials on youtube and such. Once she started as a freelancer and beauty blogger she’s never looked back again. Recently she has also done a master class for professionals. Eye makeup is her USP she says. Rashi had a rich corporate work experience of eight years before she started freelancing as a makeup artist. She has always had a creative bent of mind and wanted to do something more self-satisfying in life. That’s when makeup artistry happened to her. She started off as a freelancer and now also works out of her studio at home. Rashi feels her personality gives her a definite edge over other artists. 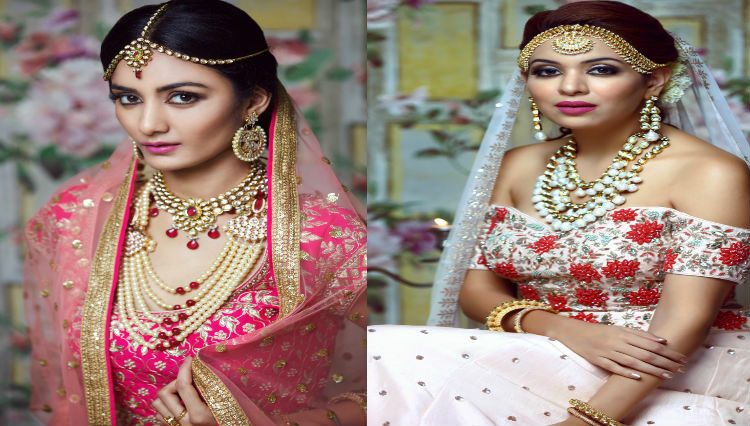 Given her exposure in life, she is able to offer consultation for an end-to-end bridal look. 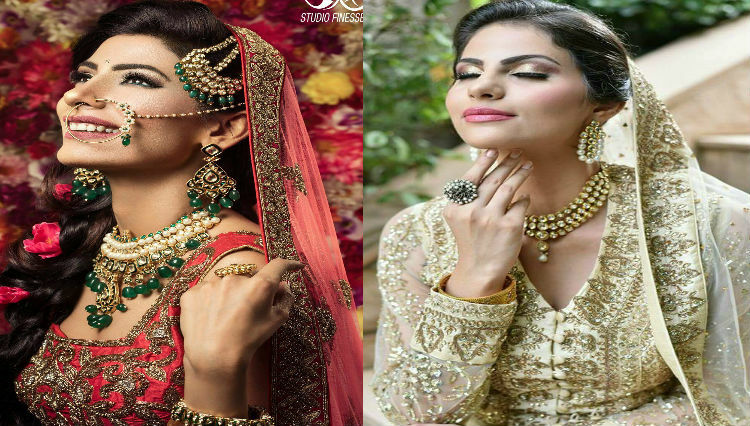 Not just restricted to make up but also complete styling advice from outfit to jewelry. She says it’s possibly because of the word of mouth, that she has been able to get so much work in a very short period of time. Been in the makeup artistry field for four years but she’s been marketing herself on social network for only the past year. 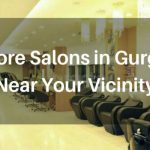 She’s taken her professional training from Cyrus Mathew’s salon in Delhi. Swati believes in keeping herself up to date with the new techniques in makeup and that’s why she joins sessions done by famous artists visiting Delhi, every now and then. She thinks her makeup is pretty up to date with the Delhi based makeup artists. She uses hi-end products only and believes in quality. 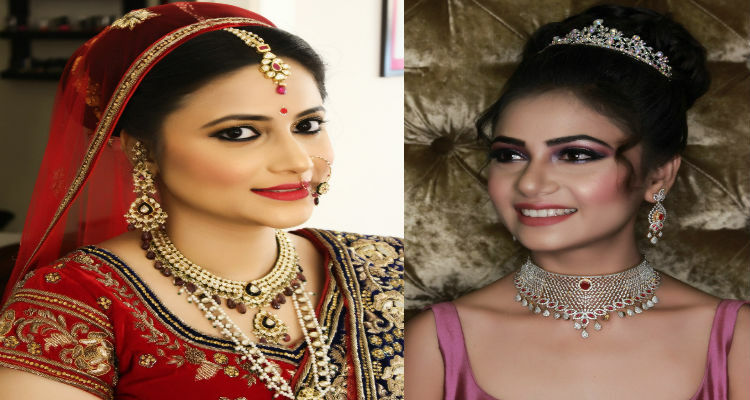 Who would believe that Pooja was initially not a big fan of makeup but she did watch a few makeup videos on YouTube one day and was fascinated by how it’s done and is a serious career choice for some. She was with corporate before but that didn’t feel worth her while. A nine to five routine wasn’t her cup of tea. So she took formal training in makeup and then there was no looking back for her. There’s nothing she loves more than makeup now! It’s been almost seven years for her as a makeup artist and she does both venue and studio make up. CBSE, ICSE or IB-Which education board to choose for my child?